Don’t even act like you didn’t know this was coming. If you know me, you know me. Remember when I posted my most favorite pimento cheese in the entire damn world? Yeah, I stuffed my burger with that. 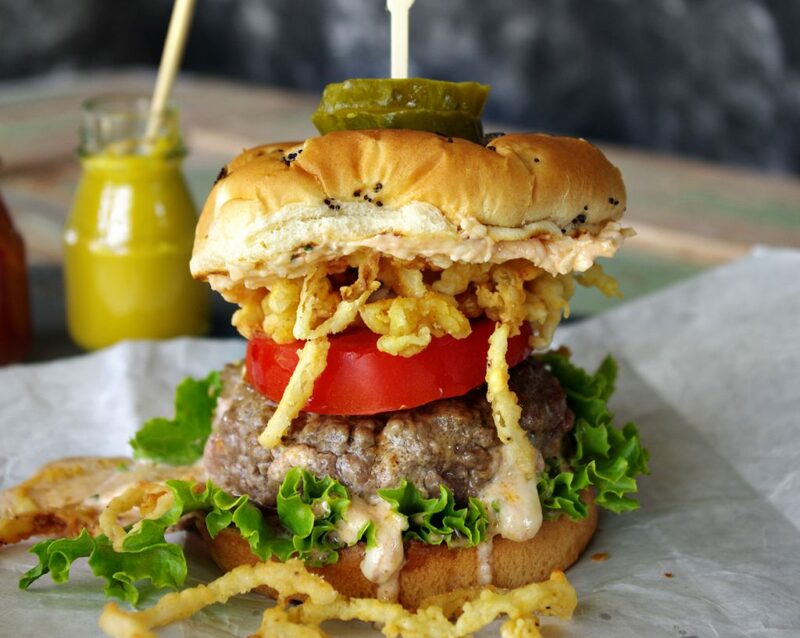 I grilled an onion roll, slathered the top with more pimento cheese, AND…I topped it with fried onion strings. Can you ever really have too much cheese? I’m currently in pursuit of the perfect burger for World Food Championships, and this is one of my trial runs. Not sure if it will be going to competition with me, but damn, it’s so good. Add extra condiments, if you wish. But I didn’t need them. 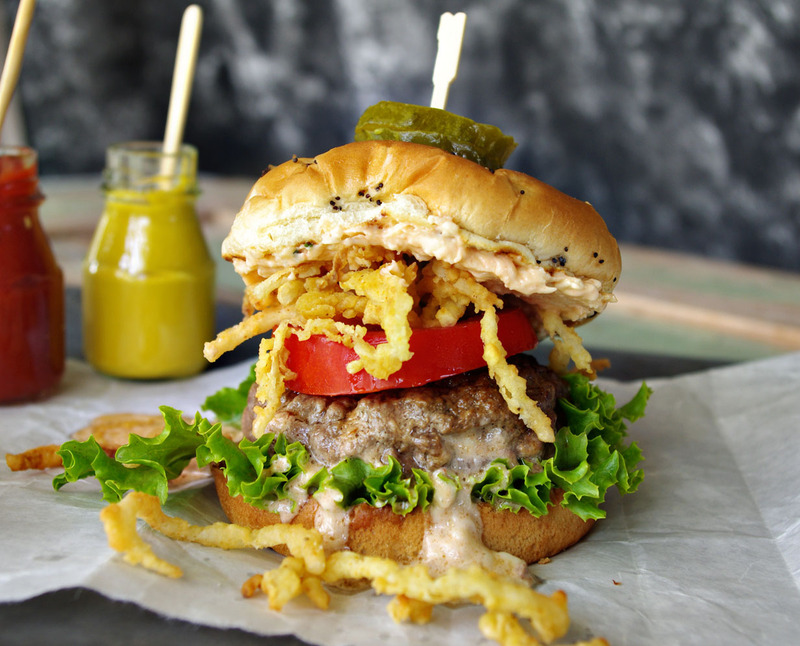 Make the pimento cheese and fried onions. Combine ground round and marinade; form into 6-8 thin burgers. 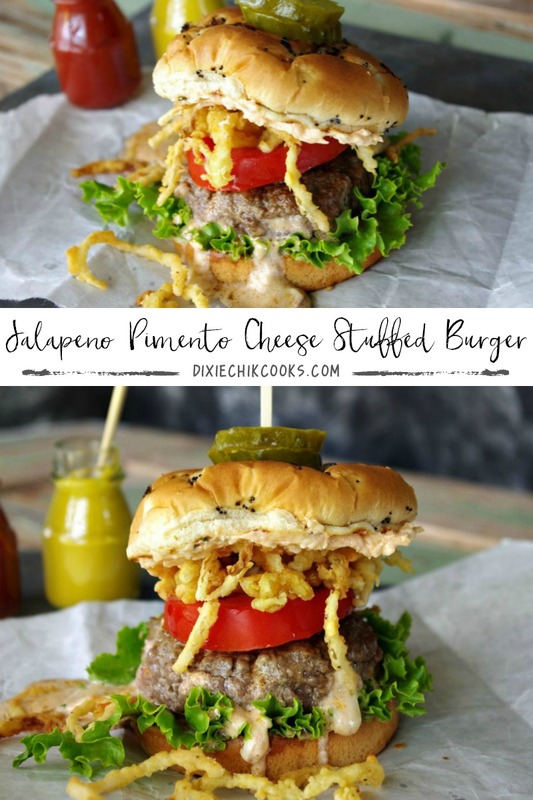 Place about a tablespoon of pimento cheese in the middle of half of them, and top with the other thin burgers, pressing to seal the edges. Grill or pan fry until done, being careful as you flip - You don't want to lose the cheese filling! 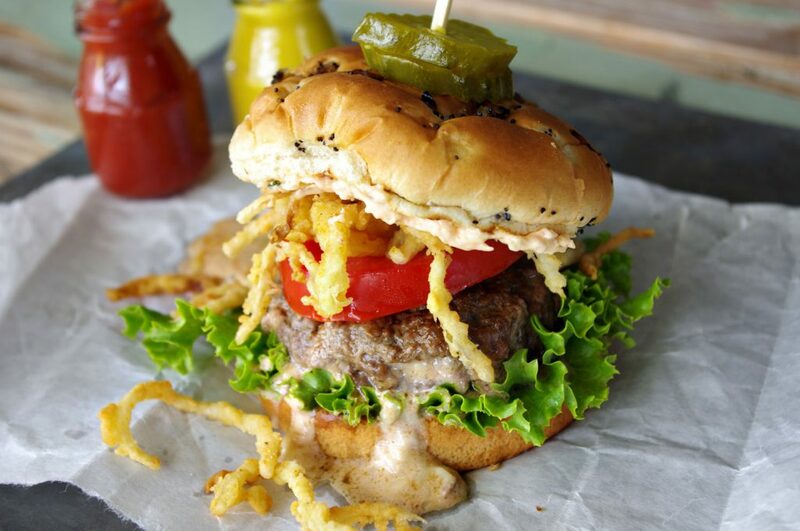 Build the burger by placing lettuce on bottom bun, followed by burger, tomato and onion strings. Slather top buns with more pimento cheese and top. Feel free to add ketchup, mustard, etc. I found that the pimento cheese was plenty from a taste standpoint, but you may want a little more. 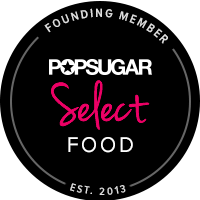 beef, burger, burger recipes, cheese, dinner, dinner recipes, main, main recipes, pimento cheese, pimento cheese recipes. Bookmark.